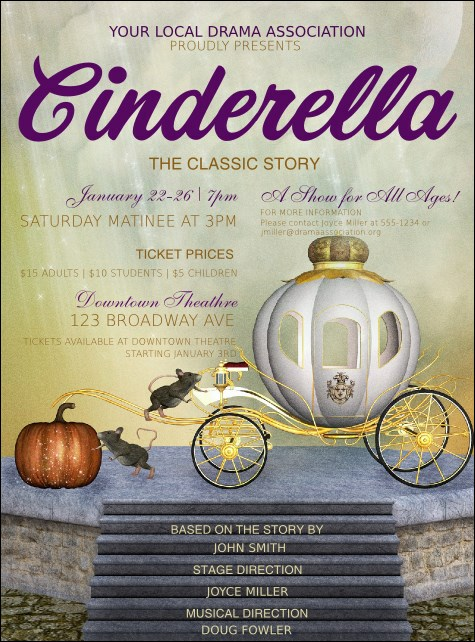 Promote your big production with the charming Cinderella Flyer. This delightful design features a beautiful carriage in the middle, with a pumpkin and two mice! Twenty-two lines of text are described in regal purple and gold text. Whip up some magic in your advertising with this gorgeous flyer!